Do you have a secret unlived life? Do you love an intriguing pathway? 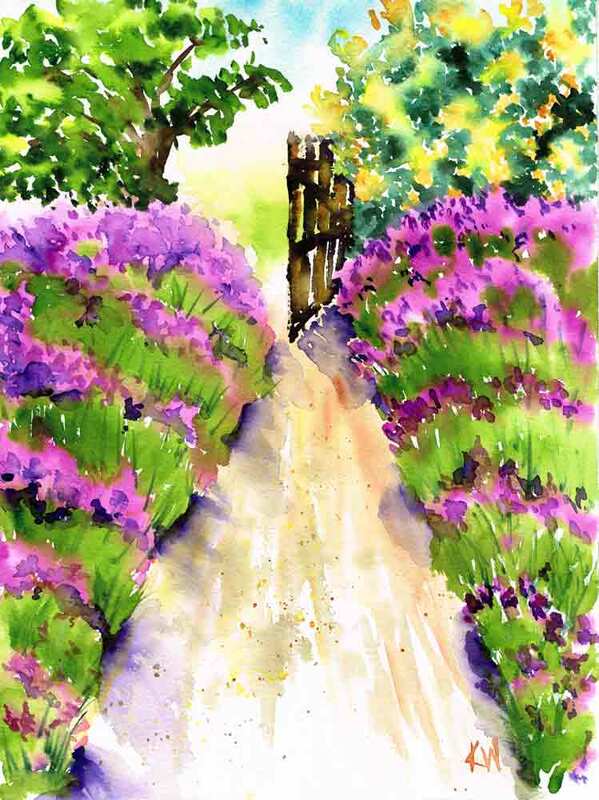 I love a garden path with little delights hidden round each bend. That's what I have been painting recently. We are all naturally curious, aren't we? Sometimes it's a light on the horizon that draws us in. Or the invitation of an open gate. 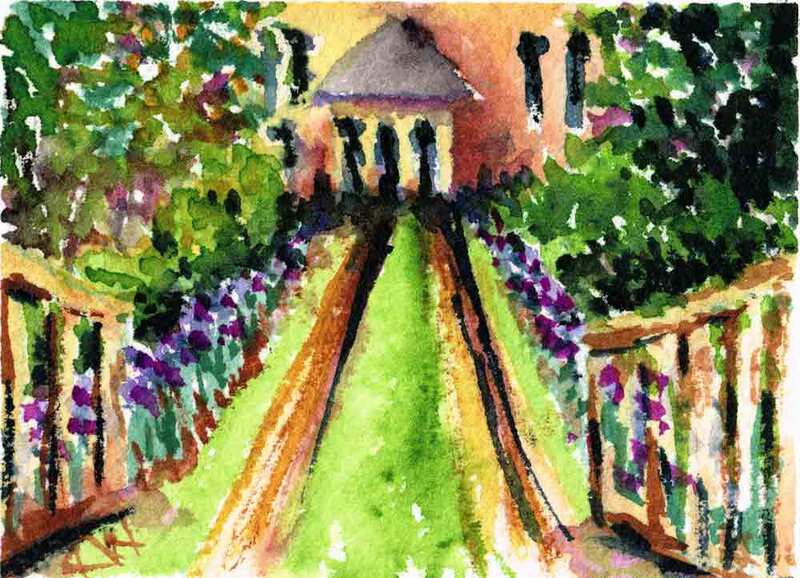 Actually, even a closed gate has a certain allure. Surely, whatever is locked behind a gate must be worthy of further investigation. 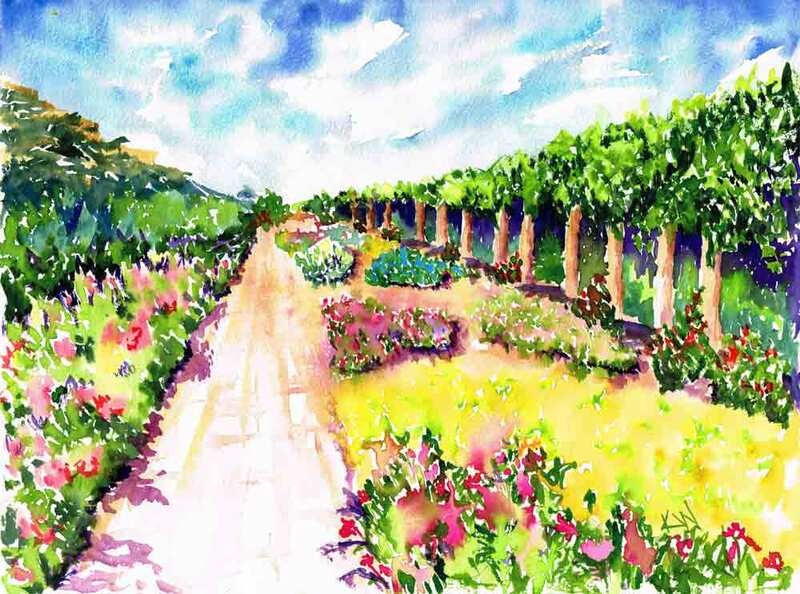 I have been painting these garden paths all month and I cant help thinking about the paths that lie before all of us. We have so many choices, so many paths to take. Best to let our curiosity be our guide. Listen to the whispers of our hearts and choose to bravely take the paths that beckon. The wishes and dreams that we don't pursue don’t leave us. We may stop talking about them and we get on with the business of adult things. While fears and doubts may also do their bit to dampen the call, the little voice is always there, tempting you down the path. Stop awhile on your current path and make sure that what you see before you still fills you with joy. Or is there something you put on your 'Someday' list that just might be better? What are your secret dreams of things you still want to do, be, learn or explore? Start today. It's the things we don’t do that we regret. Follow your curiosity down the path that beckons. For to carry around your secret unlived life is a heavy burden indeed. Is one of your secret wishes to learn to paint and draw? Do you have too many plump and juicy ideas?